$3 off $20+ in Swimwear. Bodycon Dresses Sale, $5 off $32+ Orders. 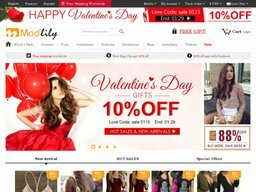 Plus Size Dresses - 13% off $25+ orders.